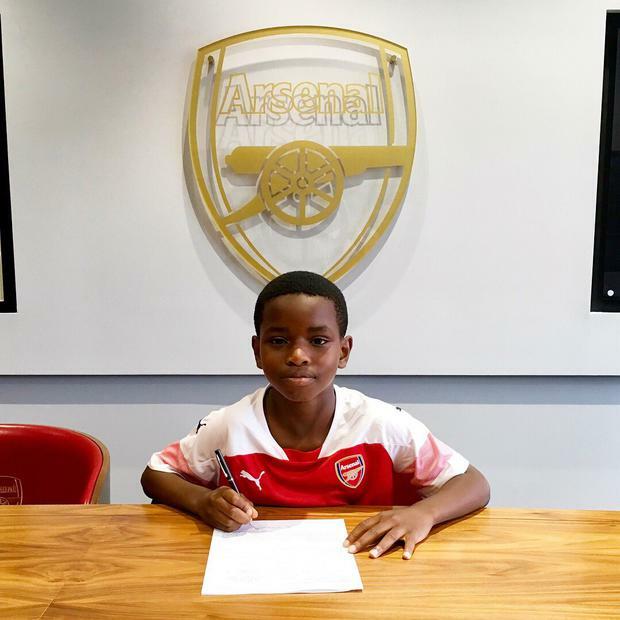 New Arsenal signing Jayden Adetiba. "The little man joins the big club!!" Adetiba’s father wrote alongside the picture of his son sitting at a table in front of the Arsenal crest in a Gunners shirt. "I thank God and my parents for this," Adetiba told The Sun. "I am very happy. I train three times a week at the academy and we have a match at the weekend. "The amazing thing is, I have always been an Arsenal fan and I will work hard every day to make the first team." "Ronaldo because of his hard work, and Iwobi because he was at the Arsenal academy at the age of seven and now plays for the first team," he added.